Ashlar House is a purpose-built care home in Epping set in the peaceful surroundings of the beautiful Epping Forest, and within close proximity of Epping town. Both inside and out, this home is designed to provide a pleasant living environment combined with the highest levels of care for those who choose to stay with us. 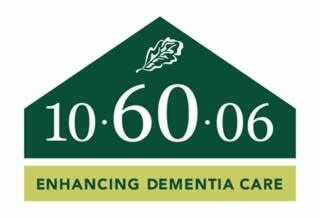 We provide 24-hour nursing care to people with a confirmed diagnosis of dementia, who are supported in our dedicated Memory Lane Community. For those who aren't looking for anything long-term, we also offer respite care. The Ashlar Club is our friendly, warm and welcoming day care centre and is also dedicated to providing expert dementia care for those living with the condition. The centre offers the opportunity to learn new skills and hobbies, or re-kindle past interests. You will meet new friends at the centre and have the opportunity to join in with organised activities as well as a daily choice of delicious wholesome food. We have recently refurbished three secure and easily accessible courtyard gardens themed ‘seaside’, ‘sensory’ and a ‘working’ garden where we all potter and relax. It is our philosophy that Ashlar House exists for the people we support, and life does not stop because the individual needs care. We base our approach to everyone we care on maintaining dignity, independence and choice. Why not arrange a visit and see for yourself! If you are using a Sat Nav to find us, then please follow use the following postcode: CM16 6TN. Alternatively use the Sat Nav directions until you reach St Margaret's Hospital. Once here, please turn into the hospital, continue to drive down the road - we are located on the left once you have passed the hospital. We are delighted to announce that we received a 'Good' rating in our latest CQC inspection. Celebrating life, individuality and dignity is all part of the Barchester philosophy, so the care we provide is designed around these values. We understand that each person has individual needs, so our staff are trained to deliver bespoke, person-centred care to those we support. Hi, my name is Madalina, and I am the Deputy Manager acting as General Manager here at Ashlar House. Welcome to our website! Hi, my name is Claire, and I am the Administrator here at Ashlar House. Hi, my name is Hazel and I am the Admin Assistant here at Ashlar House. As a Lifestyle Activities Coordinator, I will be spending time with each resident and their loved ones to build a detailed picture of each individual, so that each person’s stay with us is as meaningful as possible. Although I have been working within this field for many years, thanks to the uniqueness of each resident, I am always enjoying new experiences in my role. My goal is to create an activities programme that caters to the capabilities of residents, including, but not limited to, individual and group activity. I've spent the past few years forging strong relationships within the community and developing a pool of talented individuals that can supplement our in-house team to bring out the best in those we support. As we never stop growing and changing, it is important that we maintain an up-to-date Getting to Know Me booklet. With your help, the activities scheduled for your loved ones will be as relevant and enjoyable as possible. I’m very much looking forward to working with all of you. Hi, my name is Susan, and I am a nurse here at Ashlar House. Ariel is our Head Chef with 8 years experience working within the catering departments of Care Homes. He has been head chef at Ashlar for 6 years and is responsible for developing and maintaining a nutritious, varied and interesting menu. He is also responsible for the purchase of fresh products and the preparation of individual meals. He is enthusiastic about cooking and works with residents incorporating their ideas and choices onto the menu. Hi, my name is Cosmin and I am Second Chef here at Ashlar House. Hi, my name is Derek, and I am the Maintenance Manager here at Ashlar House. Kristina has been at Ashlar since 2010. She is responsible for maintaining the cleanliness and presentation of the home. Kristina is extremely artistic, and you will see much of her handiwork as you walk around the building.